While online dating continues to attract controversial debate, numbers don’t lie. According to a survey of over 14,000 individuals, 19% of brides report meeting their partners online. It’s a substantial number considering it outranks more traditional modes of meeting: only 12% report meeting at work, 14% in college, and 17% via mutual friends. Another longitudinal study backs this assertion, noting that couples who hit it off online end up marrying faster than their offline counterparts. Online dating sites, which often use algorithms and unique characteristics and patterns to match their members, have been instrumental to these betrothed. As increasing numbers of success stories become visible to the public, lonely hearts are lining up in droves to find their significant other through an online dating platform. In short, business is good for online dating sites. The industry surpassed $3 billion in 2017. So how can new players to the game cash in? There are several critical tools to keep in your war chest, and a stable online dating merchant account is the most important of them. An online dating merchant account enables you to accept payments online to keep your business running. The game of love is tricky. People meet and they either fall in love or they don’t. The latter experience can make for unhappy customers, even if it’s not the merchant’s fault. It’s just one contributing factor to this industry’s high rate of chargebacks. Both true and friendly fraud plague online dating sites. In some cases, unhappy customers with little luck in love decide to dispute their membership charge, often using less-than-scrupulous reasoning to get a refund from their issuing bank. This can cause major headaches for online dating merchants, who don’t find out about a chargeback until it’s too late. The merchant then incurs fines, fees, and penalties that can land them in hot water with their merchant bank. Unfortunately, it comes with the territory. Online dating is considered a high risk industry by most financial institutions, making it difficult for merchants to land a traditional merchant account. Even those that do can find themselves heartbroken when their chargeback ratio exceeds 1% and their merchant account is terminated without recourse. The love story doesn’t have to end there. Merchants can work with payment processors that specialize in the high risk category, and can obtain an online dating merchant account built to handle the challenges of the industry. The key here is to do your homework and find a reputable payment processor that has direct experience in helping merchants with an online dating merchant account. Some general “high risk” payment processors may charge higher-than-normal processing rates. 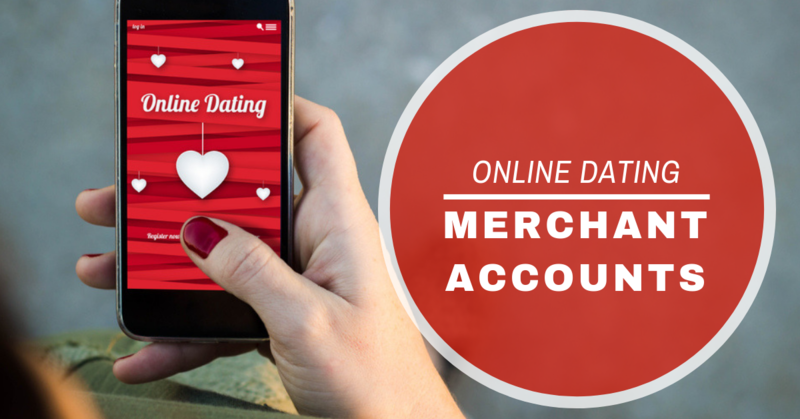 An experienced online dating merchant account provider, on the other hand, knows exactly how to address your accounting and payment processing needs. They are familiar with various approaches to minimize risks in your type of venture, consequently qualifying you for cheaper rates. Chargebacks and other types of fraud hinder growth for online dating merchants. Any business that accepts online payments must invest in online security measures to protect the bottom line. But it doesn’t stop there. Exceptional customer service can stave off chargebacks by ensuring that customers understand how to get in touch with you if they have issues. Be sure the terms and conditions are clearly listed on your site and send new members an email that includes them as well. This can cut down on miscommunication and confusion about how your service works. Include customer service emails and phone numbers on your website in a place where customers can easily find them. Also be sure that your customer service team is adequately staffed to answer customer questions and concerns. Keep in close contact with your members. A newsletter or other types of regular communication can go a long way in keeping you connected with your customers – and keeping chargebacks at bay. Write blog posts on how to make the best use of your service. Consider providing helpful information to help your members on their love journey, like articles on “The Best Ways to Dress for a First Date” or “How to Ask for a Second Date.” A little customer support goes a long way in preventing unhappy customers from asking their issuing bank for a refund. Online dating is only getting more popular. Merchants in the space must be vigilant in streamlining and protecting their payments – as well as their online dating merchant account. Working with a payment processing partner can optimize your payments operation and ensure a positive ROI.